This fundraiser has been set up to help with medical expenses and any additional support needed to help find a diagnosis and a cure for sweet Hannah. Hannah has been ill for the last year, she has been in and out of hospitals all over Omaha and has been unable to find any exact answers to heal her body. This all started a year ago with muscle and joint pain. Initially, she thought it was just because she was working out too much. Then the pain became crippling, to the point of being unable to walk at times. She has developed rashes all over her body, lost weight, and continues to be in pain. The one diagnosis she has received during the year is lupus. She has dealt with numerous allergic reactions to medications. She was hospitalized in early fall for a severe allergic reaction. She was then hospitalized approximately a month ago with blisters all over her body and was extremely ill. Drs said she was having a Steven Johnsons reaction to her medication. She was able to go home and was receiving care at home for her blisters/sores. Last week she started showing possible signs of pneumonia. 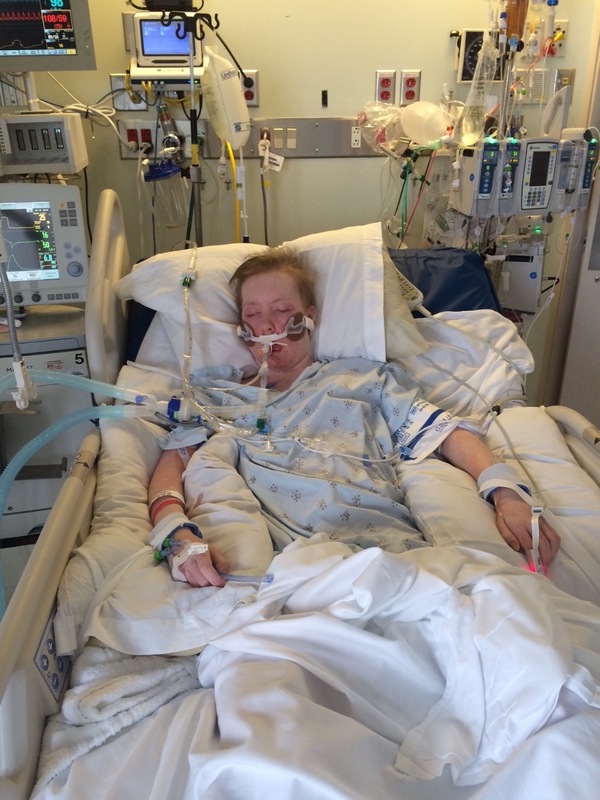 She was admitted to Nebraska Medicine’s ICU on Jan 17 for Pneumonia and fluid around her heart. The Drs believe the bacterial or possible fungal infection in her lungs is now attacking her heart. They performed 2 procedures yesterday to collect a culture to determine the cause of infection and to look at her heart. Her heart is currently only pumping at 25%. Today the cardiologist is going to perform a procedure to remove fluid around her heart. Hannah is currently in a medically-induced coma and on a ventilator. Hannah is extremely ill. For those of you who do not know Hannah well, she is a beautiful 22 year old who has an incredible heart for Jesus and has not deserved what this last year has dealt her. She is married to an amazing husband, Conner Matthew. My prayer for this site is that not only can this be an incredible financial blessing to the family, but that most importantly we can get Hannah’s story out and we can see the true power of prayer work over Hannah’s body and family. Please pray for Hannah! Pray for total healing of her body. Pray for wisdom for the doctors and nurses to find exactly what are going on in Hannah’s body and that they can provide a cure to fix her. Lord we know you are the ultimate physician and have the total capability of this. Please Heal her Lord. You created Hannah and you know every cell and nerve work in her body, restore her to total health. Pray for strength and peace for Connor and the family at her bedside. Lord we know you are always with us, but let Your presence be known in Hannah’s hospital room. Show up with your miracles that we know you are fully capable of. God you our all mighty sovereign God, please heal Hannah! Update from Hannah's sister, Nicole. Thank you everyone for all your prayers and support for my sister Hannah!! Her insurance company has finally approved her to move on to Madonna Rehabilitation!! She is on her way to recovery!! 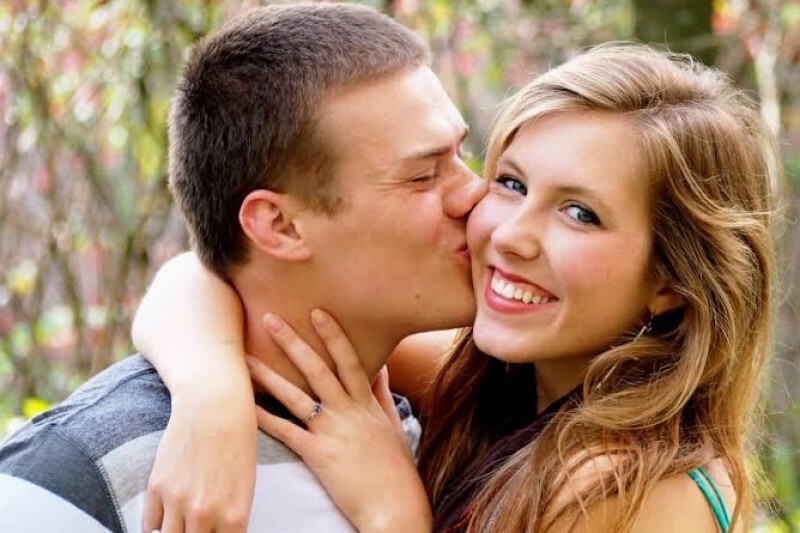 Here is a beautiful picture of Hannah and Conner. Conner purchased her a pair of point shoes after she had been working hard at rehab. My daughter in love, Hannah Matthew's future and quality of life is extremely dependant upon getting her into an inpatient rehabilitation facility, such as Madonna Rehabilitation Hospital. Her insurance company (United Healthcare) is not understanding the severity of her condition and is currently denying this request. Hannah needs extensive therapy work to help her walk and learn to swallow and eat again. She is 22 years old and has so much life to live. How they can think of putting her in an elder care facility? This is devaluing her as a person and inadequate to her needs to get well. Please share & pray!" Conner is filling out appeal papers. Please pray that United Healthcare approves it immediately. If anyone has any contacts or recommendations to expedite this process, please let us know! Thank you again for all the prayers!! I'm the founder of the Kentucky Lyme Disease Association. Have them test her for Lyme. Lyme has been proven to cause Lupus. It is now known that a chronic condition is caused by a chronic infection. If you need more info, you can find us on Facebook. http://www.kentuckylymedisease.org/cardiac-manifestations Know that the testing for Lyme is unreliable. Our prayers are with you. PLEASE look into Lyme disease and coinfections like babesia, bartonella, etc. 'Regular' doctors will miss this diagnosis and the only reliable lab in the country is Igenix. Symptoms are very suspicious of these issues and they're easily missed by regular labs and doctors. More specialty testing might be needed. You can find more info and a doctor at www.ilads.org. Praying for her! Please please PLEASE get Hanna appropriate testing for Lyme Disease and co infections! The standard tests, ELISA and the Western Blot, are VERY inaccurate. Lyme is known as "The Great Imitator" because it mimics so many diseases (Including Lupus, Chronic Fatigue Syndrom, MS, and Fibromyalgia). If this is the case, Immunosuppressant's and steroids are absolutely contradictory and will make it worse! The most accurate test available for Lyme Disease is through IGenex. Please research this disease and prayerfully consider this an option!! I was diagnosed with Lupus. Misdiagnosed. I found my way to a Lyme Literate Medical Doctor in Bethesda, MD who diagnosed me with Bartonella and Babesia. I was successfully treated for the Bartonella and have tested clear of it for five years now. Please have her blood drawn for a three day blood draw and send it to Galaxy Diagnostics (www.galaxydx.com) for a Bartonella test. Was she checked for Chagas' disease? Dear Family. I heard about this heart breaking story, and am a former student at the same YWAM location in Costa Rica. I am studying herbal medicine, and if I can recommend this product, formerly called Anti-Plague. The Naturopath doctor who developed it received it as an answer to prayer about a formula that will combat plagues. http://www.drchristophersherbshop.com/product_p/dcs127b.htm Here' is what Dr. Christopher has to say about it: "The Anti-Plague formula is built around garlic, which is well known as a natural anti-biotic. It destroys teh unnecessary and harmful bacteria throughout the body. Garlic contains a very high amount of sulphur, one of the best minerals used as a na oxygen carrier. Oxygen is the breath of life and sulphur will carry the oxygen in the body directly to the infected area. Germs cannot live in a good supply of oxygen, therefore, the infection is cleared quickly. This is an organic wonder, so garlic may be termed a wonder herb. In addition, apple cider vinegar acts as a disinfectant. The ingredients found in the black walnut act as herbal destroyers of fungus. Marsh-mallow is the enemy of gangrene and peritonitis. It is a softening emollient that will aid in removal of the inorganic deposits broken up by the solvent gravel root. Wormwood relieves pain and kills pinworms and other unwanted parasites, etc. Mullein works on the bronchial track. Oak bark tones and firms the cells in the muscles, cartilage, and flesh. It is also an aid in rebuilding the circulatory system and feedint it. Scullcap is one of the finest nerve repairing and rebuilding aids. It works especially well on the spinal cord, the truckline for health to the entire body. Comfrey is the cell proliferant taht causes the good cells to multiply rapiddly and push out the waste and dead-cell structure, being supplied with the wonderful allantoin. Lobelia is the great catalyst to combine the herbal entities to a smoothly-operating whole" Blessings and prayers. My sister almost died from Lyme. Has she been tested for it? Sounds like some terrible similarities. My prayers are with you all! I'm not able to financially give at the moment but I was just wondering has her doctors ruled out Scleroderma/systemic sclerosis, Churg-Strauss syndrome, Goodpasture's Syndrome. Here's an list of different autoimmune diseases that doctors can also look at and ruled out through different testing: https://www.aarda.org/descriptions-of-diseases/ Hopefully, this info can help in some way! Lyme disease co infections molds viruses heavy metal toxicity, Lyme is immunosuppressive allowing other viruses to surface. Steroids and Immunosuppressive drugs are bad. Please, please, PLEASE get this girl tested for Lyme Disease. I know another missionary to that region who picked it up there and is desperately ill. I was at death's door with Lyme disease in 2009 and my specialist estimated I had had it for maybe 15 years at that point. No two lyme presentations are exactly alike but I experienced nearly every symptom you list here. It is a hellish journey to get well and you will need the top specialists to help you since she is so far advanced (if this is indeed Lyme). While living in Omaha, I traveled to Columbia MO to see a world renowned specialist and I credit him with saving my life. There is a doctor who recently wrote a book about having a heart transplant due to Lyme Disease. He nearly lost his life. After I send this, I'll send you a link to that. Please check for Chronic Lyme Disease! It's hard to diagnose and many Dr's will "rule it out" with their simple test, but please persist in more tests. I was bed ridden for many months till I got help. I'm doing a Ultraviolet Blood Irradiation treatment (that it alternative, but used to be used in the health system before antibiotics), and I am getting back my life! I've had heart issues, breathing problems, etc. It's horrible and some people die from it. All that to say, I'm NOT saying it's what she has, just really reminds me of what I experienced. Worth checking into if it helps her! They are right, have her tested for Lyme Disease, I know someone who had that and it was horrible, and they couldn't figure it out either. My daughter was in 19 hospitals for the exact same thing. Test for Lyme and then scurvy---I know it sounds unthinkable but because of her being so sick and not being able to eat it was scurvy that almost killed her. So glad you are feeling better, Hannah!! Your little kitten sounds special. I pray daily for God's blessings upon you and your entire family....!